Letter From an Unknown Woman is Ophuls’ first personal project in Hollywood and he injects this exquisitely stylish romantic melodrama (based on a novel by Stefan Zweig) with his continental sensibility. “By the time you read this letter, I may be dead,” reads aging bon vivant Louis Jourdan from a letter found in his tiny hotel room. Hair tousled and tux tired from yet another night of meaningless flirtation, he’s startled by these opening lines and suspends his preparations to flee a duel to read the history of a love affair that he can’t remember. 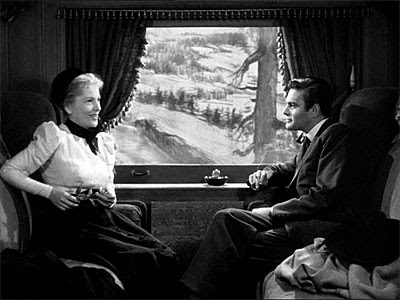 For the rest of the film we’re transported to the life of Joan Fontaine’s awkward young Viennese woman, hopelessly enthralled by the dashing pianist from adolescence and momentarily his lover, the emotional pinnacle of her life but for the philandering rogue simply another fling in a blur of women passing through his bedroom. Fontaine delivers one of the best performances of her career, vulnerable and yearning without lapsing into sentimentality and ultimately showing a hidden strength as she risks all for one more moment with the love of her life. Jordan is genial and callow, an empty figure faced with the meaningless of his life and shamed with self discovery. Meanwhile Ophuls’ endlessly moving camera tracks, cranes, and circles around the characters while maintaining a measured distance, offering a privileged view of intimacy that captures both her life-defining rapture and his momentary engagement. It’s a sensibility more European than American, right down the empty gesture that concludes this sad melodrama, but it’s also a transition piece to his two great films in the American vernacular. Letter From an Unknown Woman is a Hollywood version of the films he would later make upon returning to France. The Reckless Moment and Caught are films about America as seen through Ophuls’ European eyes. 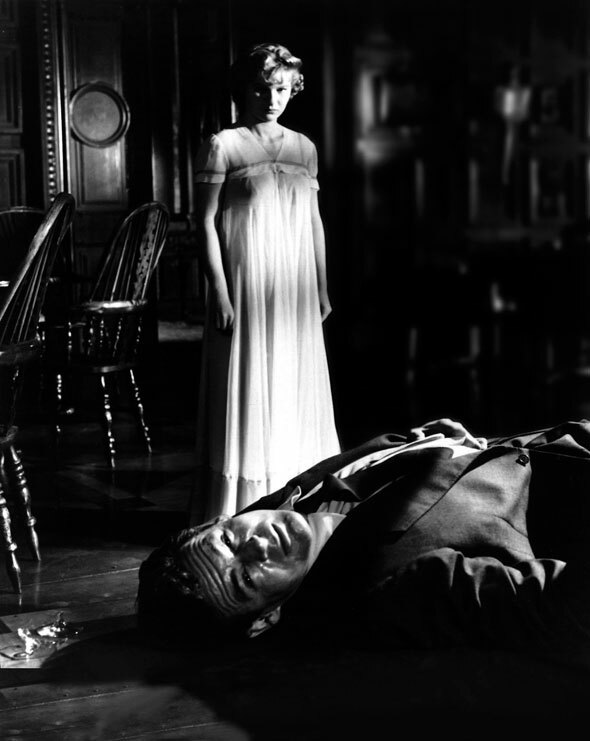 Caught, Ophuls’ dark “Cinderella” melodrama, belongs as much to the murky world of American film noir as to the polished European dramas of high society social appearances and power games. Barbara Bel Geddes is the car hop who puts her hopes in a charm school education and a modeling gig and Robert Ryan is her dream come true, is so she thinks when the cold, demanding industrialist millionaire suddenly proposes. Ophuls perfectly captures her uneasiness in society when she first meets him: she a charm school grad from a working class background looking to land a rich husband, he a millionaire industrialist born to wealth and power and looking to fool around and proposing on a whim to prove a point to his psychiatrist. 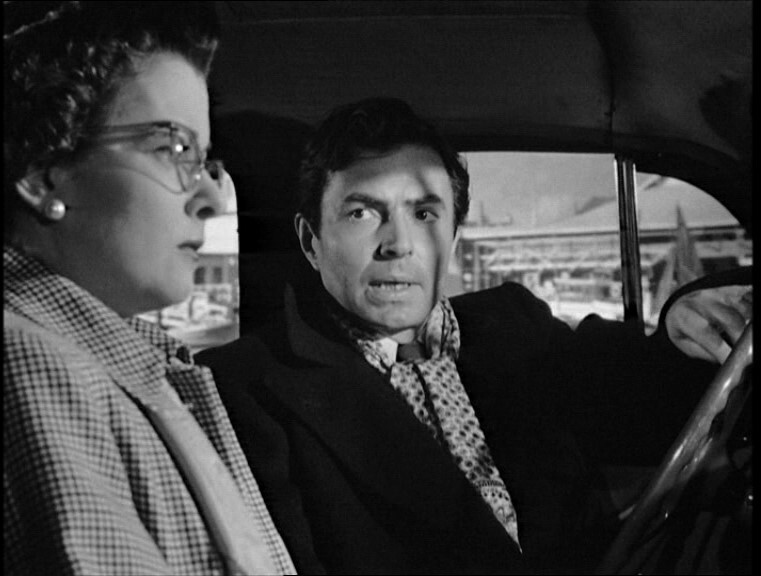 James Mason is her jolt of reality, an idealistic doctor in New York’s east Side who hires her despite her qualifications (diction and posture have little value in a working office) when she flees his control. While Mason slowly wins her heart, the manipulative Ryan responds with a campaign of blackmail and psychological torments. Ophuls fights a script that all too often puts its themes into the mouth of Mason, whose constant harangues against the pursuit of money for money’s sake sounds increasingly like a broken record, but his delicate, elegant style beautifully captures both the surface elegance and emptiness of the millionaire lifestyle. Bel Geddes transforms from callow, naïve kid to woman of strength and moral fortitude, while Mason tempers his saintliness with moments of doubt and Ryan reveals chillingly cruel manipulator whose only goal is to “win” at all costs. Ophuls beautifully twists the American dream into a nightmare, where even the happy ending feels just a bit tarnished. Go to Turner Classic Movies website for the complete schedule of films, and don’t forget to adjust for your time zone. Or just turn to Turner Classic Movies and watch the films go by. And don’t forget to set those DVRs to record. Sean, here’s me being nitpicky: Louis last name is spelled ‘Jourdan’ and not ‘Jordan’. Great Ophuls piece! Corrected. Thanks for spotting, Michael.